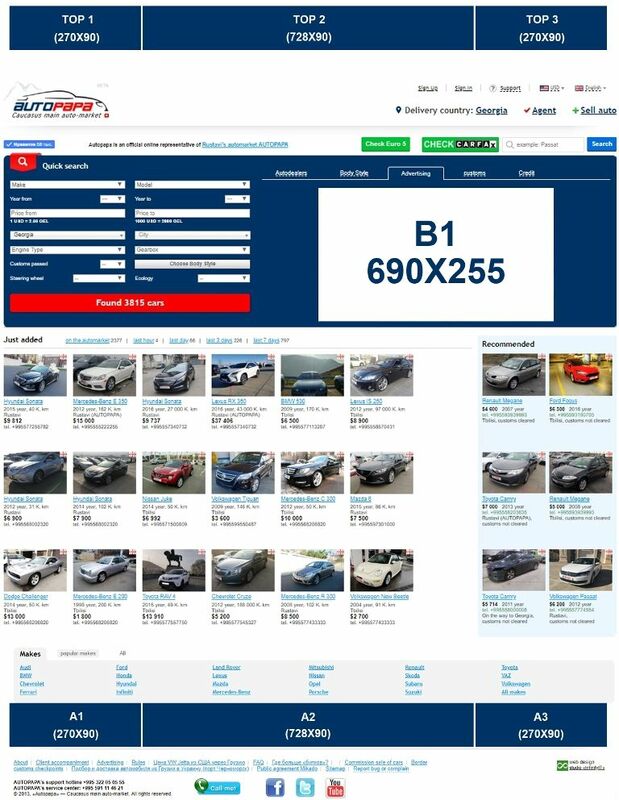 Do you want to have your advertisement on Rustavi Car Market? AUTOPAPA is located near the main road “Tbilisi – Red Bridge”, which connects Georgia with republics of Armenia and Azerbaijan. There is a Service Agency of the Ministry of Internal Affairs in 100 meters from Autocomplex . Guests of the Rustavi Car market are not only the citizens of Georgia but also representatives of Armenia and Azerbaijan. More than 20 000 visitors from all over the Caucasus come to Rustavi Car Market AUTOPAPA on its market days (Saturday and Sunday). -Get discounts and special offers if you are regular customer. According to the social research Rustavi Car Market N1 is the most visited market in the South Caucasus. So the main Market of Transcaucasia occupies the first place not only by the number of sold vehicles but also by the number of visitors. 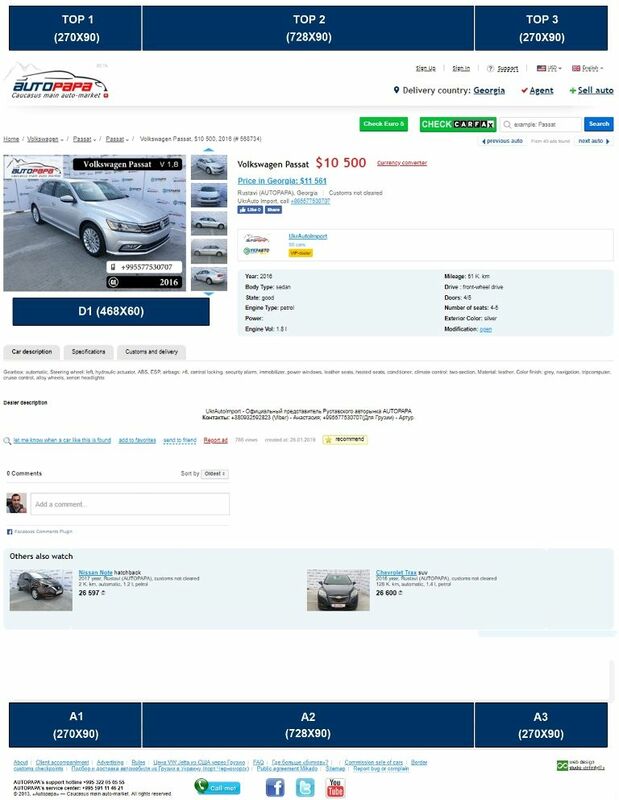 Because of the presence of the target audience, you can buy or sell vehicle on the most profitable conditions without mediators. The cost of advertising on the main banner at the entrance to the Rustavi car market AUTOPAPA is 2 700 GEL per month, regardless of the lease term. The advertisement space includes only the size of the picture. Please take into account “pocket” (3-5cm) , when printing banners. This price doesn’t include assembly and disassembly of the banners. 1 month 4 sides: price 100 GEL. 20-30 second commercial - 1 month - Price: 243 GEL. 1 day - 100 GEL. For persons representing the interests of businesses and organizations that provide financial services requiring a license (banks, credit institutions, etc.) - the cost of service will be 200 GEL. a day. This price includes only the right to exercise the stock. ♦ Rent of the mobile space (18 sq.m.) for trade. Offices are equipped with air conditioners and electric counters. Manufacture of offices is provided by the administration of Car Market. Hurry up! The quantity of free objects is limited.